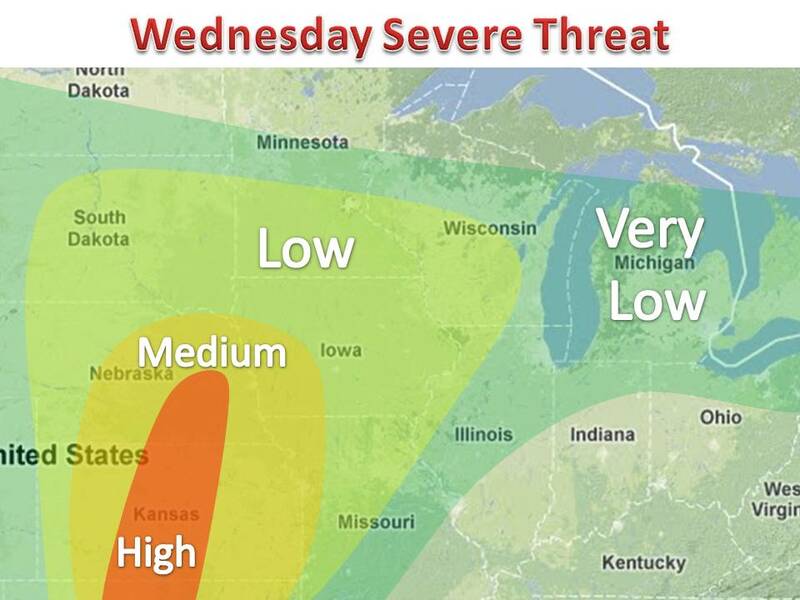 More severe weather on the way for the Plains and Midwest. A warm front will slowly shift north with the center of low pressure to the east. This front will create a trigger for thunderstorms. Likewise, a cold front will persist in western areas, where the severe threat is highest. Meanwhile, humid and warmer air will continue to surge north, straight from the Gulf of Mexico. More thunderstorms are likely for the rest of the week.